Getting your milking routine right can be good for you, your cows and your dairy business, according to Teagasc. A proper milking routine requires the wearing of clean milking garments i.e. disposable nitrile gloves and clean parlour apron/parlour suit. This helps prevent the spread of mastitis and ensures that the operator is clean and safe from any discharges. 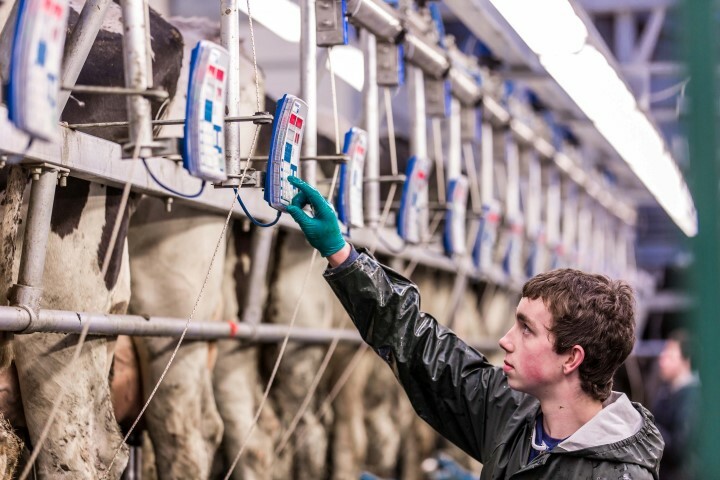 Rinse gloves and disinfect regularly throughout the milking. The teats should be clean and dry prior to milking. Teats should be washed and dried if dirty. A dry wipe with some paper towel is sufficient for clean teats. All teats should be fore milked approximately 90 seconds before the cluster is attached.Where pre-spraying is practised, allow 30-60 seconds contact time to elapse before drying the teats and attaching the cluster. This is to allow for bacterial kill. The reason for this, according to Teagasc, is that dry, clean teats produce milk of low TBC and low thermoduric count.Washing dirty teats will not reduce TBC levels in the milk unless they are dried with a paper towel. Fore milking helps in the early identification of mastitis; and ensures that optimum milk letdown occurs when the cluster is attached shortly afterwards. Preparation of cows should take place in groups of 4-6 starting from the front of the row and working downwards towards the end of the row. Preparation of each cow takes place first, followed by cluster attachment to the same group in the same sequence. 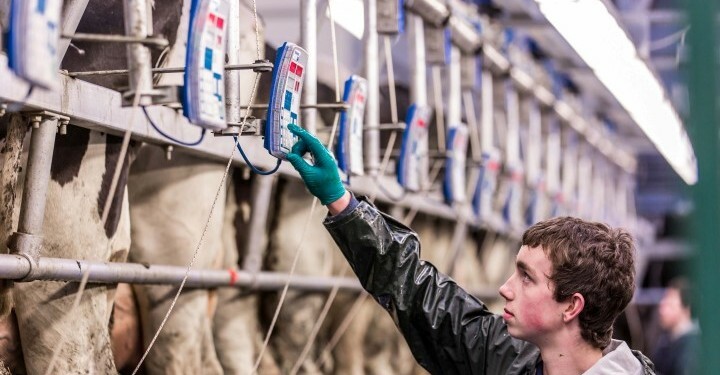 The reason for this, Teagasc says, is establishing this routine makes milking more efficient because an interval of approximately 90 seconds will elapse between preparation and cluster attachment ensuring that optimal milk let down occurs. It also reduces the amount of walking up and down the parlour– in one study by a factor of 2½ times.